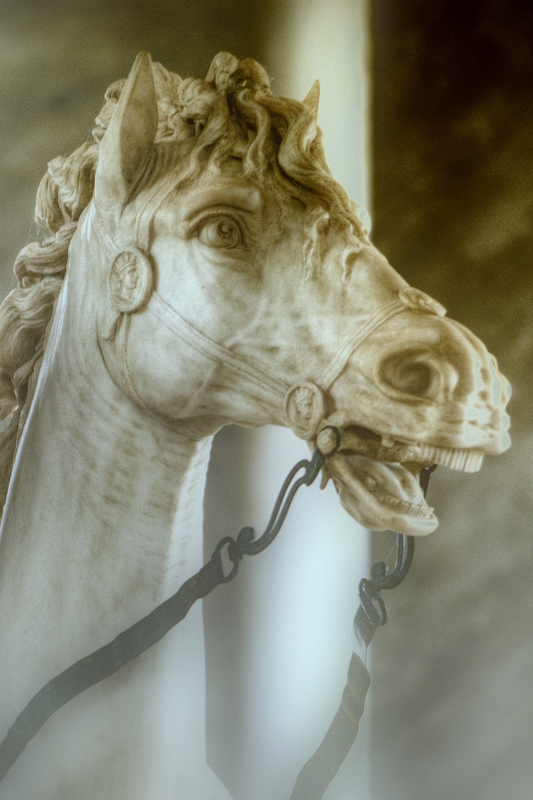 This image was shot inside the Vatican Museum. 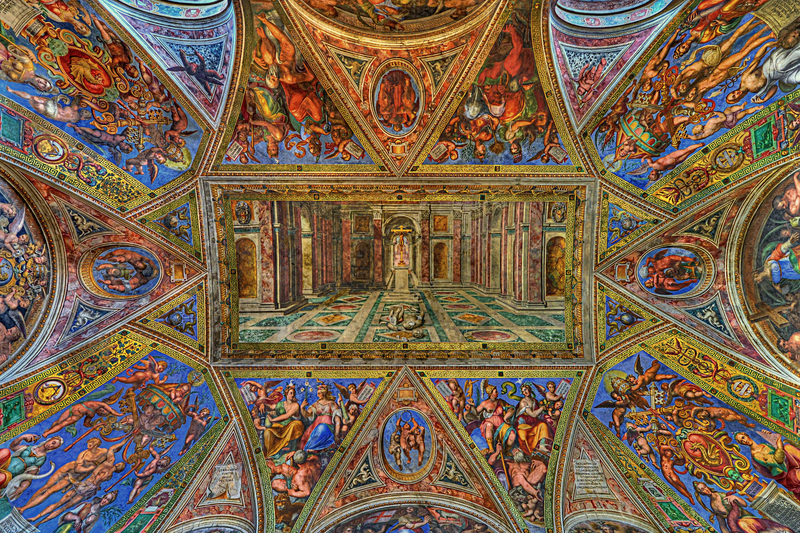 The Vatican Museums originated as a group of sculptures collected by Pope Julius II (1503-1513) and placed in what today is the “Cortile Ottagono” within the museum complex. The popes were among the first sovereigns who opened the art collections of their palaces to the public thus promoting knowledge of art history and culture. 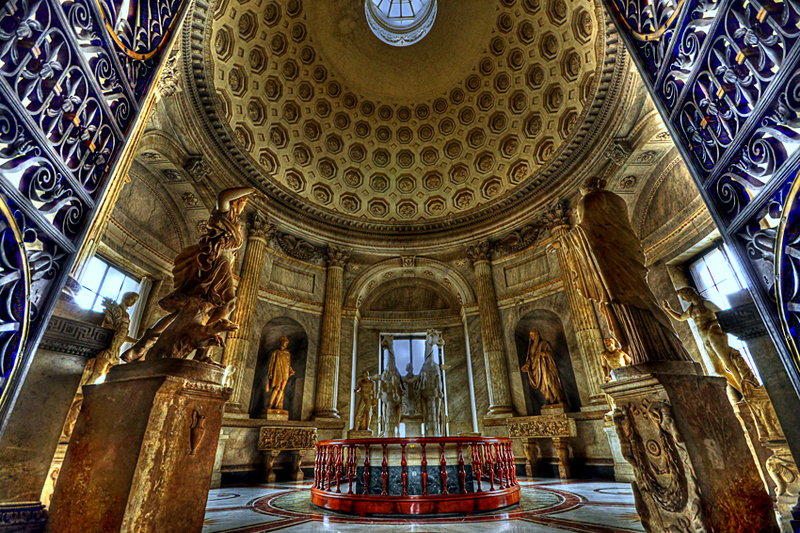 This HDR was shot in the sumputously decorated basilica. 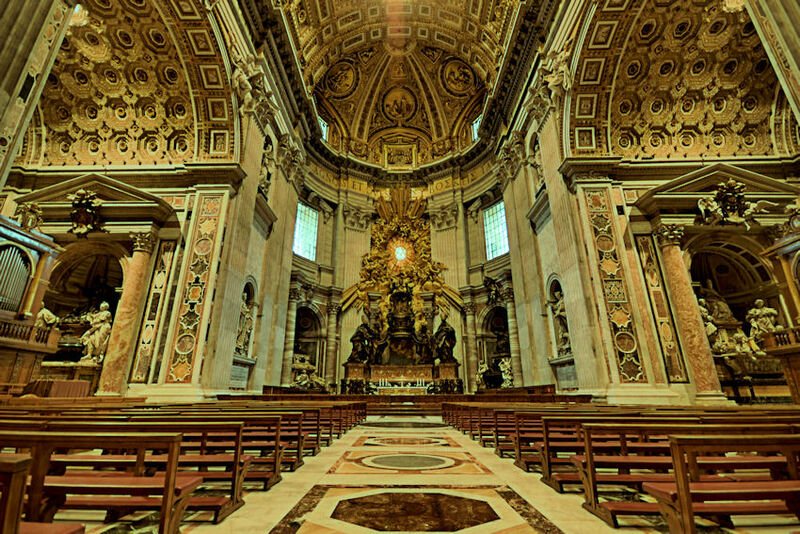 The vast basilica’s 615ft long marble-encrusted interior contains 11 chapels and 45 alters in addition to a wealth of precious works of art. 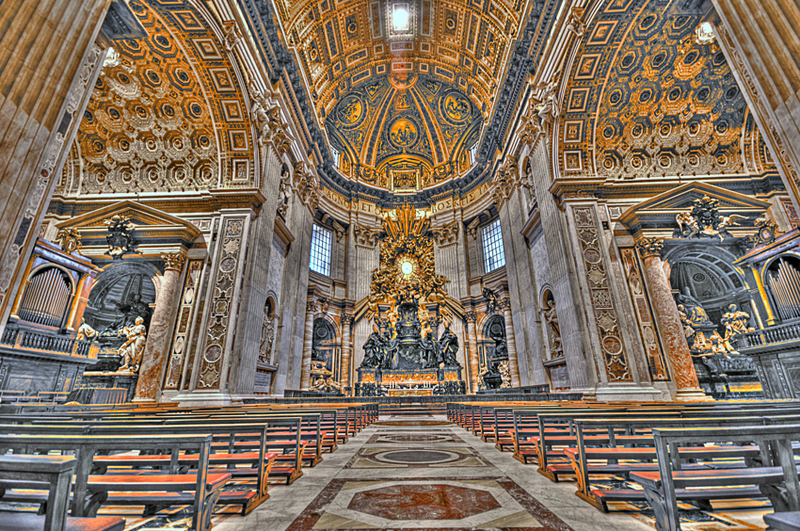 This shot is of Throne of St.Peter in Glory. In the domed apse, the window above Bernini’s Baroque sculpture lights the image of the holy spirit, shown as a dove amid clouds, rays of sunlight and flights of angels.